Are you wondering how you can reduce the monthly payments for your new BMW or Mercedes? Perhaps you’re feeling a little bit burdened with your current auto loan and recurring car needs. The extra money can help you save for an end-of-year vacation or home renovations. If you’re thinking of buying a car for the first time, you need these tips to help you repay your car loan on time. A good payment history directly improves your credit score. If you need help on how to lower my car payment with bad credit, pay attention to these tips below. Be smart and apply these tips! What is debt consolidation? It’s whereby you apply for a special loan that merges all your current debts into one monthly installment. Banks and debt consolidation companies offer this service to debtors who feel cornered by several debts. One indicator is a debt-to-income ratio above 55%. If you’re considering this option, prepare copies of your bank statement for the credit officer. Debt consolidation works for long-term loans and various institutions have a minimum outstanding balance amount. This amount ranges from $10,000-$15,000 depending on your federal state. Credit lenders also require a collateral asset and your credit report. Debt consolidation helps you avoid losing your car through repossession or voluntary surrender. If you look at both options, you’ll realize that they affect one’s credit history and ratings. When you’re cornered with several debts, lowering your car payments prevents you from borrowing money for gas. The biggest setback is once you receive this loan, your credit score dips. Rebuilding it might take at least two years to see a significant improvement. During that period, you’ll pay expensive interest rates on your credit cards and other loans. Car buyers who want to pay their loans within the shortest time possible pay high installments. An installment consists of your car’s price and interest for the auto loan. Choosing a long repayment period enables you to break down these costs into smaller amounts. Before buying a car, check the available repayment periods and choose one that matches your current income. You’ll need to use a car loan calculator to break down your car payments. Negotiating won’t affect your payment history as long as you pay your new installments on time. If you’re about to buy a car, create a good first impression on the sales rep by paying a hefty deposit. A high collateral lowers your car payments by reducing your outstanding balance. If you anticipate trouble paying subsequent installments, go to your creditor and present your financial statements. It’s easier to convince them that your employer imposed pay cuts because your bank statement acts as proof. Don’t wait until the deadline to start negotiating for lower car payments. Visit your credit lender at least one month before the next installment. Doing this provides enough time for your creditor to adjust your loan so that you don’t miss the next payment. It’s whereby an attorney or credit officer persuades your creditors to accept lesser amounts for your outstanding balances. Debtors who are financially distressed due to a divorce or overwhelming medical bills rely on debt settlement to avoid bankruptcy. This process takes several months because convincing creditors to settle for lower amounts doesn’t guarantee a sure outcome. Your attorney or credit officer will have a look at your paychecks and current debts to determine your debt-to-income ratio. Make sure you present copies of loan agreements for all your current debts. Debt officers also check credit scores to determine whether a settlement is the best option. If you’re facing tough times, you at least need a reliable car to get to work on time. A debt settlement program helps you to retain your car while you weather the tough financial storm. This option reduces your overall debt by 25-30%. That’s a huge margin and you’ll notice the improvement in your next car payment. Debt settlement affects your payment history because you don’t repay your car loan in full. The 25 or 30% difference remains visible in your credit report for almost five years. This method also discourages potential car loan providers from financing your purchases. Just like your car deposit, a lump sum payment has a huge effect on your outstanding balance. It actually enhances your advantage when negotiating for a longer repayment period. This works well for car buyers with bad credit since they endure costly APRs. If you don’t have the money, you can get a better job or start a business to boost your income. A higher gross income enables you to save more money regularly. You might need a fixed bank account in order to save your money for several months. Are there any consequences? Not really. Some credit lenders charge a small fine when a debtor repays their loan early. Saving huge amounts of your income means doing without certain comforts temporarily. For instance, spending more weekends at home and doing more cooking to cut your entertainment expenses. Paying a lump sum payment improves your credit score by boosting your payment history. After negotiation for reduced auto loan payments, you’ll have more net income. You’ll come across car dealerships that offer insurance to car buyers. It helps customers to get everything they need at the same place. These insurance deals increase profits because dealerships receive commissions for enrolling new car owners. Car buyers have the freedom to get auto insurance covers elsewhere. This is better because you’re more likely to find affordable premiums. Eliminating your car dealership insurance fees directly lowers your car loan payments by a huge margin. The first source is fellow motorists. Reach out to a friend or elder relative who knows more than you do about cars. You can visit several insurance companies near you to compare prices. Then, learn how you can get affordable insurance payments to save money. One way of doing this is by installing a good car alarm system. The auto insurance provider lowers your monthly premium because installing a car alarm lowers your risk of auto theft. In addition, you should park your car in a secured area. Who is a co-buyer? He or she who acts as a co-borrower of your auto loan. You expect them to contribute money towards your down payment and car loan installments. 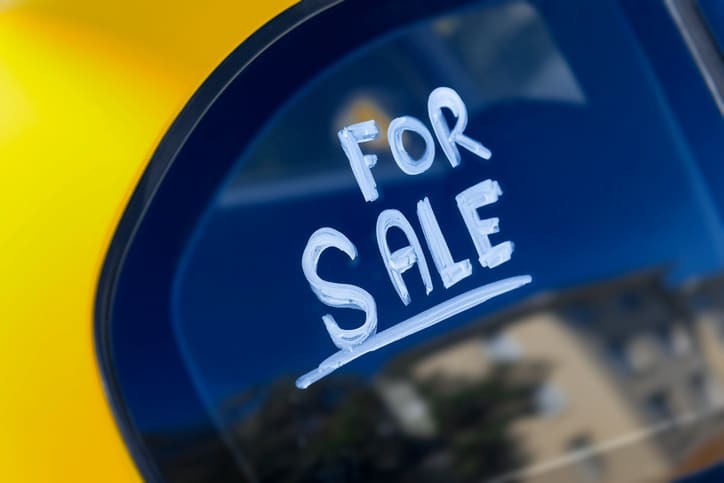 Unlike cosigners, a co-buyer has 50% ownership of the motor vehicle. Both you and your co-buyer are responsible for servicing the car. A co-buyer enables you to meet a credit lender’s income requirement for car financing. You need a specified gross monthly income to convince a creditor that you can make payments consistently. Fortunately, you can present your co-buyers bank statements and paychecks together with your application. At the end of each month, split your car payments to lessen the burden on your finances. It’s also easier to save up a lump sum payment to reduce your outstanding balance at a faster rate. A first -time car buyer can raise a better down payment by getting a co-buyer. Are you planning to get a co-buyer? First, save about 20% of the car’s price to show your seriousness towards owning a car. A committed co-buyer will also want to know how you’re going to share car maintenance expenses. A car loan modification is whereby a lender lowers your interest rate or allows you to pay a smaller payment temporarily. When you skip payments, your creditor adjust carries the balance over to your remaining installments. Is car loan modification different from negotiation? Yes, it is because negotiation focuses on a permanent reduction in monthly payments. Negotiation focuses only on the repayment period while a loan modification extends towards interest rates. If you recently had a car crash that affected your vehicle’s value significantly, applying for a loan modification helps you to avoid losing money by lowering your monthly payments. You retain your car and still preserve your payment history as you sort out your financial issues. Car loan refinancing is a loan you take in exchange for your outstanding car payments. How does it work? A credit lender pays your auto loan and takes the car title. Since you still have a pending balance, your creditor structures it into monthly payments that are much lower than your original car payments. You can get car loan refinancing from your current auto loan provider. When should you apply for it? If there’s a huge drop in interest rates, getting car refinancing reduces the amount of interest in your loan. Auto loan refinancing is suitable when you want to save money for a huge project. This method also lowers car payments on bad credit auto loans. In addition, a buyer still maintains their payment history from the original car loan. Refinancing helps you to retain your current credit score and make improvements by paying your new installments on time. Do you have a bad credit score? Perhaps you may need some time to improve it because lenders will impose high-interest rates on your auto loan. Negotiating for a longer repayment period provides short-term financial relief since you pay a higher percentage of interest charges. Consider consulting with a financial coach to help you attain your target credit score. Avoid applying for additional credit cards or payday loans because they affect your progress. Make sure you clear your current debts on time to maintain an excellent payment history. Smart buyers know that the selling price determines how much down payment and monthly installments amounts to. Choosing a modest car enables you to save up a good deposit within a short time. A high deposit means your small outstanding balance gets spread over a long repayment period. If you can’t afford a brand new car, there are plenty of car dealerships offering used cars with extended warranties. Buying such a car gives you value for money because the auto manufacturer inspected it and made necessary repairs. You also spend a reasonable amount of your monthly income on gas and insurance. After narrowing down your choices to a specific car, the next step is getting the money within a specified duration. You’ll use a car payment calculator to determine how much down payment you have to pay to get affordable car payments. If you can save at least 50%, you probably won’t need to negotiate for a long repayment duration. Go ahead and take extra shifts at work to boost your savings. Are you in college? Try reaching out to your parents or elder siblings who already have stable well-paying jobs to chip in towards your new car. Skipping car payments without your lender’s approval can affect you in several ways. If a lender reports this incident to credit reference bureaus, your credit score drops. The record also lowers your chances of obtaining auto loans in future because skipped payments increase your risk of default. Accumulating monthly payments can push you into unwanted debt because the credit lender puts pressure on you to fulfill your obligations. Apply for car loan refinancing as soon as possible in order to maintain a good credit rating and retain your car. Perhaps the reason why you’re struggling financially is that your employer reduced your salary. Maybe business isn’t doing so well and that’s why you can’t make payments consistently. The best solution is increasing your net income. One way of achieving this is by repaying all your debts. You’ll minimize the amount of money flowing out of your bank account every month and you’ll channel it towards your car loan installments. For instance, switching from credit to debit cards prevents you from paying high-interest charges on your recurring monthly expenses. Credit card interest rates vary with personal credit ratings. The interest rate can get as high as 16% and creditors impose costly late payment fines. Choosing to pay your car payments using a credit card also obligates you to pay two different interest rates for one loan. The first thing to do is to talk to a financial coach to determine which method suits your situation best. If you’re facing moderate financial struggles, you might consider a loan modification. A car buyer who’s looking for a job needs a reliable car to get to job interviews on time. After lowering your car monthly payments, maintain your payment history by honoring installments on time. Avoid skipping payments because accumulating debt can push you further into financial turmoil.